WendyBlomseth: How Long Does It Take? How long does it take for understanding and acceptance? Ten years. Sixteen years. Never. Today is the sixteenth wedding anniversary for my husband, Karl and I. It has been quite a journey of miles, years, experiences and we are both probably still learning about each other. We are, as we often do, spending the weekend together up north at the cabin that he originally purchased to be the "boy cabin" for hunting, fishing and man time with friends. Throughout the years the ambiance has changed considerably as we've used it as our photography workshop headquarters, artists' retreat, friends play ground and couples intimate personal time. How long did it take? I'd estimate it was an evolving process from 2000 to 2008 with small embellishments added each year. When I look at it now, it's hard to remember what it looked like back in 1999 before we got married. 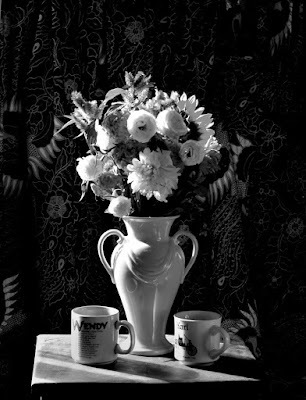 I've been working on a photo still life series to "honor the emotive moment." 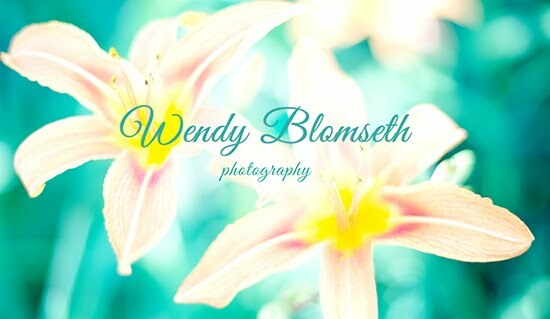 It started as a learning experience to teach myself how to create fine art quality images with a new digital camera. Over a period of ten years I've been creating these still life portraits at a time/place when it had a special meaning for me, from birthdays to anniversaries to holidays. Even though I consider one portrait to the best from each series, I usually work "in the zone" for two morning sunrise sessions before I pack it up and say, yes. I've got what I need. How long does it take? Overall: ten years. Each session: two - four hours over two days. Today I came away with two favorites, the black and white at the top is in honor of all the years Karl and I spent in our black and white darkroom. 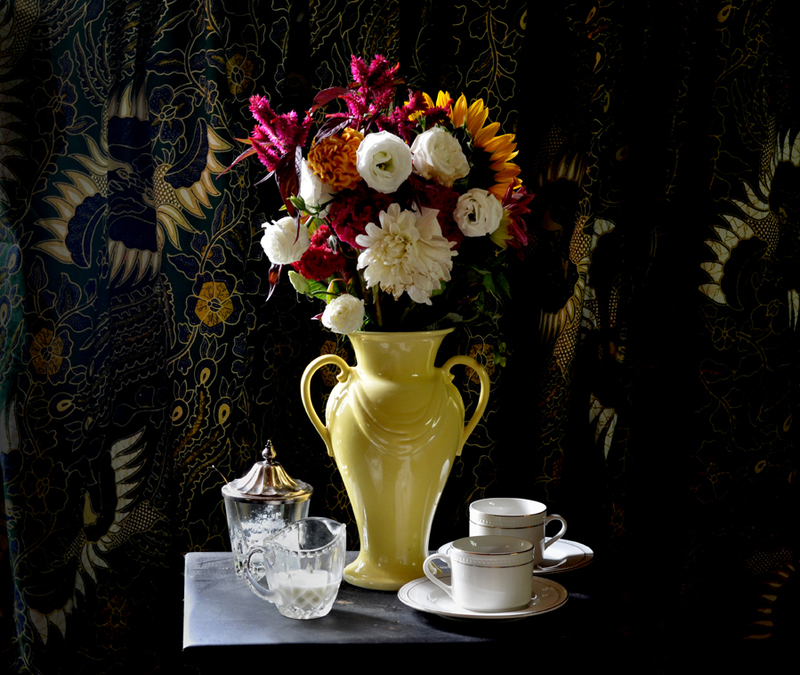 The color portrait above I love because of the quality of the morning light and the props that Karl produced: backdrop fabric and the coffee cup set he had purchased years ago for one of his past photo sets. So, how long does it all take? Most days I have very little patience and a short attention span. But when I take a step or two back to pause and reflect I love our years together, our many past collaborations and the ones that we're creating each and every day now in these present "emotive moments."